The present owners have worked hard to build a profitable and reliable business, well located in modern premises in the heart of a busy industrial precinct. • Supply of bearings, filters, power transmission supplies, oil, lubricants, tools, plus also welding supplies and gas. • Offer 24 hour breakdown service including industrial gases. • Catering for trucks, cars, machinery, welding or D.I.Y. 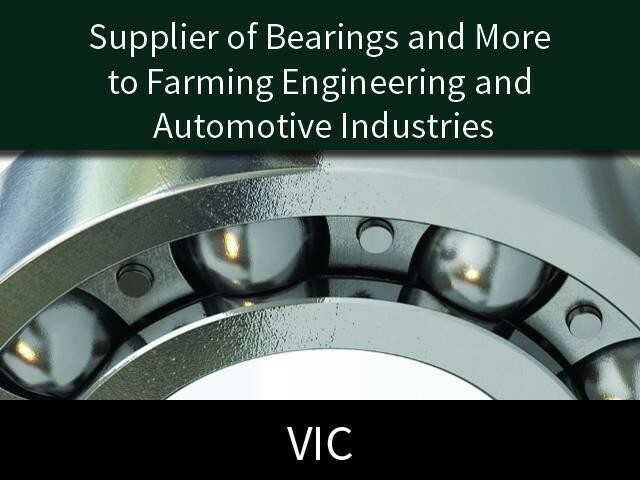 This Manufacturing/Engineering Business is one of 45 businesses for sale in Vic Country, Victoria, and one of 30 Manufacturing/Engineering Businesses in this region that a business for sale currently has on offer. This Manufacturing/Engineering Business is for sale in Vic Country for the asking price of $326,000 + SAV and is new to the market.